The Foundation of Arts works tirelessly each month to bring quality stage productions and artistically-focused events to the Jonesboro community. This holiday season, the nonprofit organization will present its annual Christmas production along with an array of festive events centered around the community. The Foundation of Arts (FOA) was established in 1986 at The Forum Theater in Downtown Jonesboro by the Jonesboro Symphony, the Jonesboro Fine Arts Council and Friends of The Forum. With the help of its dedicated staff, The FOA has brought the Jonesboro community together through the arts since its inception. Kristi Pulliam has been the executive director of The FOA for the past five years, and prior to holding her current title, she spent seven years as the community development and artistic director at The FOA and taught several arts classes. Over the years, Pulliam has remained a firm believer in The FOA and the impact it has on the Jonesboro community. Each season, The FOA produces between nine to 12 theatre productions, creating a platform for 400 to 600 members of the community to express themselves through acting, singing and dancing each year. For those less theatrically inclined, The FOA allows people to volunteer and serve on committees that help steer the organization. The FOA has since introduced a variety of year-round classes that focus on other aspects of the arts. Three months ago, The FOA introduced a new concert series called First Fridays at The Forum. The series is held on the first Friday of each month and welcomes musicians from all over Northeast Arkansas and beyond to perform on The Forum Theater stage. The FOA will present December’s First Fridays at The Forum concert on Dec. 7 at 7:30 p.m. This month’s concert will feature local musicians and father-daughter duo Andy and Ava Shatley. The concert will be called “A Shatley Family Christmas” and will feature the duo performing popular Christmas tunes and original music. Pulliam is also serving as the director of this production and has been casting and preparing for the play since October. During the casting process, Pulliam recalls trying to find the perfect fit for the story’s iconic protagonist, Ralphie. 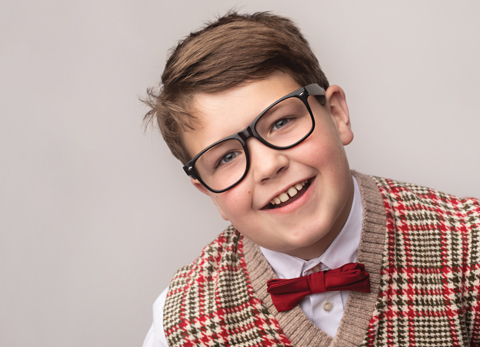 She found the embodiment of Ralphie in Jonesboro native Kade Vaughn, 11-year-old son of Lori and Adam Alpe and Barry Keith Vaughn. Pulliam says that their main focus with this play is to simply bring joy into the lives of the community. She also wants to remind the audience of the importance of forgiveness among family and friends and show them the value of a good laugh. 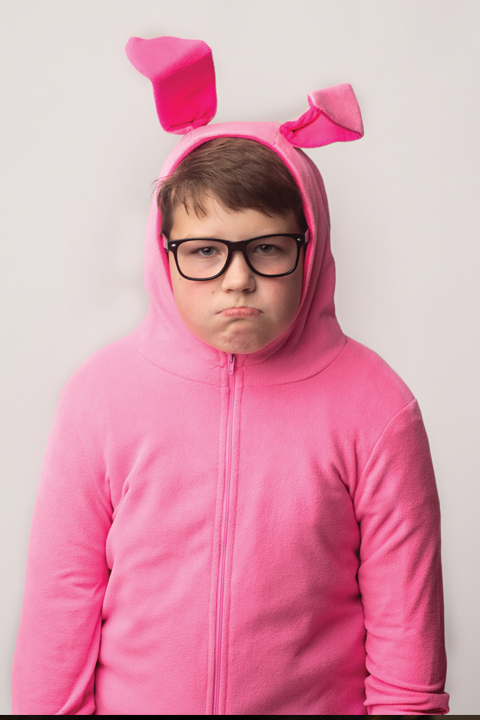 In honor of “A Christmas Story,” The FOA will also team up with the Downtown Jonesboro Association (DJA) and Occasions Publishing Group this month for a pajama drive that will benefit the children of CityYouth Ministries in Jonesboro. The FOA will present “A Christmas Story” Dec. 15, 17, 20 and 21 at 7:30 p.m. and Dec. 16 at 2 p.m. at The Forum Theater in Downtown Jonesboro. The pajama drive benefiting CityYouth Ministries will be accepting donations of newly purchased pajamas on location at The Forum Theatre, 115 E. Monroe Ave., Dec. 10-21. The FOA will also present its annual Cabin Fever fundraising event on Jan. 19, 2019, at Centennial Hall on the Arkansas State University campus. This event will include a night of dinner, dancing, gaming and murder mystery. The FOA’s theatre production of “Clue: The Musical” will also be performed during the event. More details will be announced on the organization’s Facebook page this month. For more information or to purchase tickets for The FOA’s upcoming events, visit foajonesboro.org or call The Forum Box Office at (870) 935-2726.